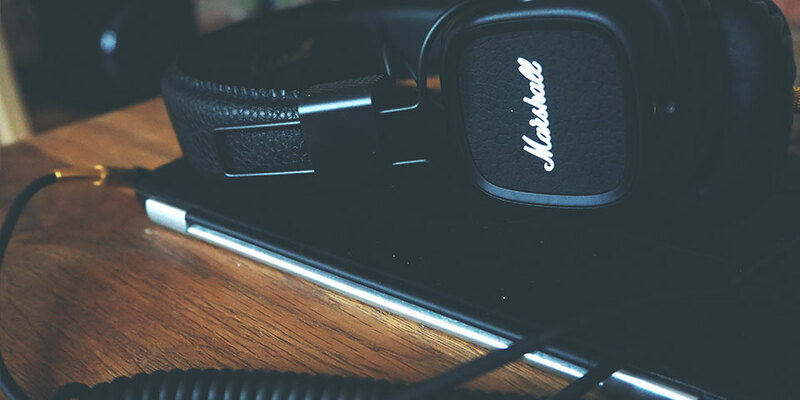 Should You Stream Free Music on Your Website? If you don’t, how will anyone hear your stuff for the first time? How will you be discovered? If you do, how will you feed your family? Will anyone still buy your record? These are many of the thoughts swirling inside musician’s heads as they face one of the most difficult catch-22 decisions associated with the industry. Spotify and other streaming services have recently received a ton of grief from musicians of all levels of success. Personally, I know several musicians who refuse to put their music on such platforms because they think it devalues their art. Then of course, there are bigger names like Taylor Swift, who famously pulled her music from Spotify to prove a point. But what if you’re not a huge pop star that makes more money in a day than most people make their whole lives? Just like when it comes to playing shows for free, your options may be different. 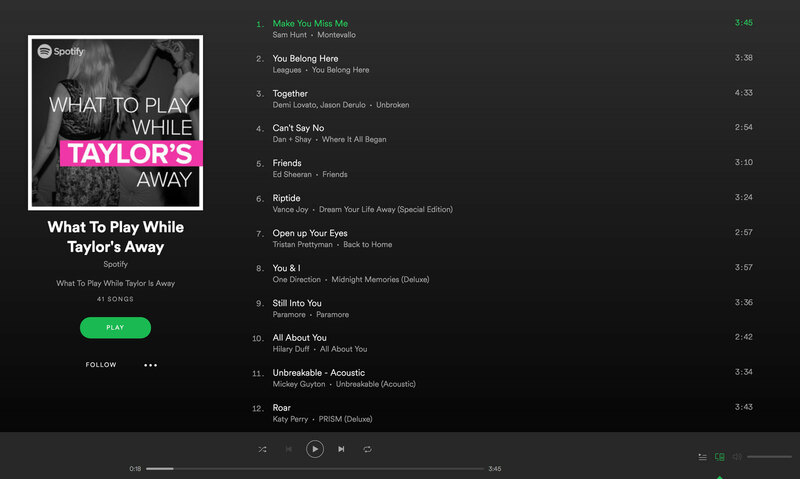 Spotify wasn’t afraid to jab back. What about making music available to stream on your own site? Is that different? Let’s look at some pros and cons to help you decide if streaming tunes on your website is a good idea. What is the main point of your website? Are you trying to build a fan base? Get discovered? Book local gigs? Your goals will play a huge factor in determining whether or not you should be streaming songs for free on your site. Imagine reaching out to a venue, asking for a gig and being unable to produce any sample music. What are the odds they’ll book you on blind faith? Probably not great. Of course, your website should also support your broad goals as a musician. If you work a job by day, use music as a creative outlet and don’t rely on it as a source of income, your goal may just be to share your music with as many people as you can. If that’s the case, you may want to make full-length songs available for streaming on your site. Or maybe even allow visitors to download them in hopes it gets shared with more people. On the other hand, if you’re a full time musician relying on record sales to keep a roof over your head, streaming full-length tracks on your site is probably not in your best interest, and streaming on sites like Spotify might not be either. Your best bet may actually be to become the exclusive seller of your stuff, on your own site and at shows. Should you stream free music on your website, then look for other ways to pay the bills? Even the most successful artists with hit after hit don’t rely on music sales exclusively. Mega stars earn more money from concert tickets, merchandise sales, and non-music specific ventures than they do from record sales and streaming revenue. Let’s not forget that Dr. Dre’s headphone business has been exponentially more successful than his music career. Music is the tool that makes all of those other things a possibility for those stars. Now, I won’t be selling out Madison Square Garden anytime soon, and you might not either, but we can still borrow the stars’ model of success. Consider if you might be able to offer other services or products to bump up your revenue. Some obvious options may be to sell t-shirts and other physical goods to supplement records, or push for house concerts. Other things are less obvious. 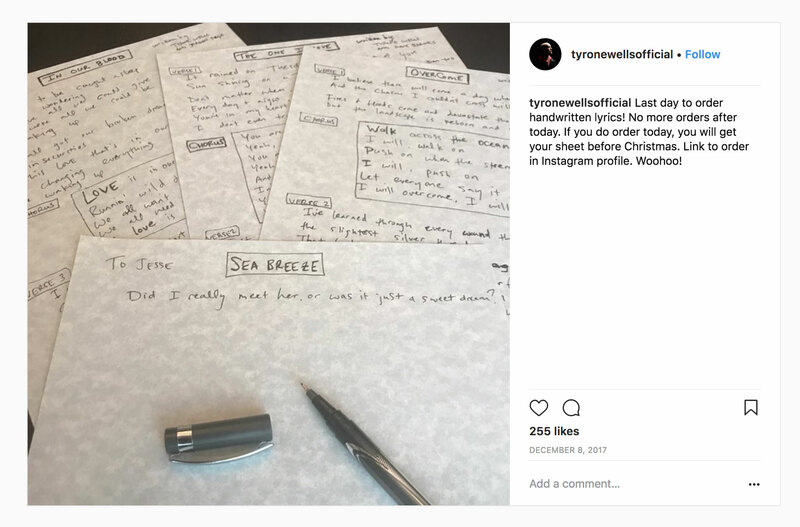 For example, Tyrone Wells offers fans a chance to buy handwritten lyrics from his website for a couple hundred bucks a pop. This appears to be an incredibly successful campaign for him. 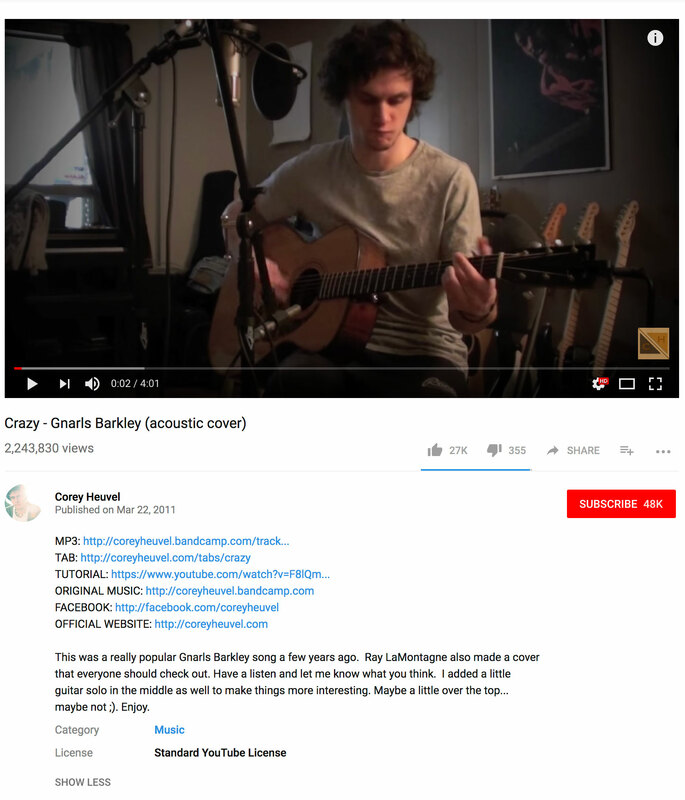 Corey Heuvel took a wildly successful YouTube cover video and transformed it into a chance to sell cover tabs on his own website. Offering free music streaming on a site is a great way to get people to the site initially, and an even better way to get them to stay. Using a site-wide player gives your audience the freedom to click around the site and see your other offerings. You can even put these pages in your top level navigation if it supports your overall musical goal. 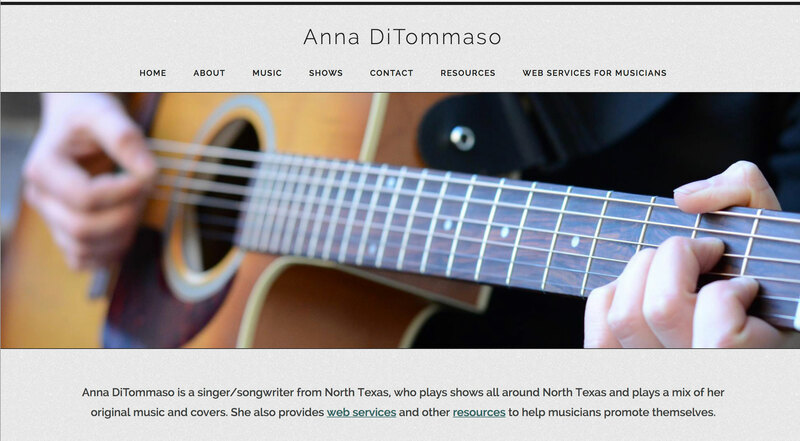 To hear music is one of the main reasons a visitor checks out a musician or band’s website. Realistically, they’re expecting to hear something, so you should at least have 30-second preview clips. As a side note, if you’re looking for an app to trim your tracks to preview length, I’d recommend Audacity. If you’re worried about someone going through the trouble to dig through source code and find your MP3s without paying for them, I’d recommend checking out this article we wrote on that topic last year. Using tools like Google Analytics and Cue Pro, you can even keep track of how many people come to your site to listen to your music. You may be surprised, and adjust your strategy to benefit you even more. So, what do you think? Are you for or against free music on band websites? Full-length or preview-length songs? Let us know in the comments!